Super Strike Lures are the kings of the surf! Suf fishermen love using Super Strike plugs because they are extremely effective. Big striped bass and bluefish love the way they move through the water and find them irresistible! 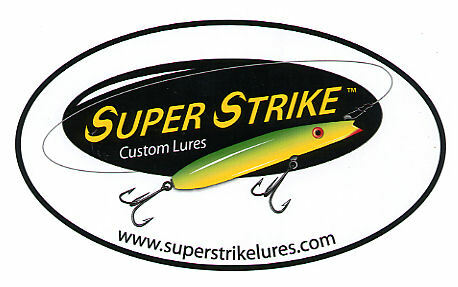 Super Strike Lures are available in several models and colors. Steve, the owner of Super Strike is always releasing new limited edition colors which anglers scoop up because they know that they work. If you enjoy fishing from the beach with a quality plastic fishing lure, then Super Strike is a great choice!